His mom mentioned that she was decorating his bedroom with planets, so I bought the anti-pill fleece and cut it to the same size as the kitted pillow sham. 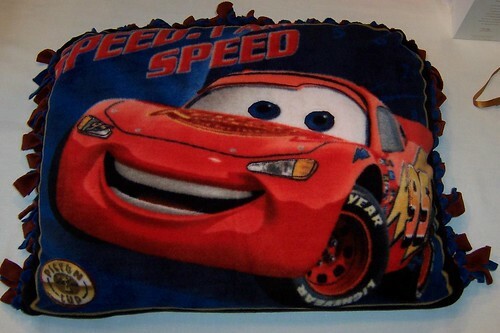 I had another Disney Cars pillow kit, so I put that together also and included it for Joseph's older brother, William, who received a Cars-themed birthday gift from us in 2007. I'm pretty sure they'll be sharing both pillows. As I mentioned with Ryan's birthday gift, this year I'm trying to keep the kids' birthday gifts simple while using up supplies from my stash. I had one last blue knit shirt sized 3T and if I didn't use it for somebody really soon, it was going to be too small for anyone we know to ever wear it. The embroidery design is actually intended to be an in-the-hoop keychain, but I made a few changes in the order of the stitching to turn it into an appliqué. 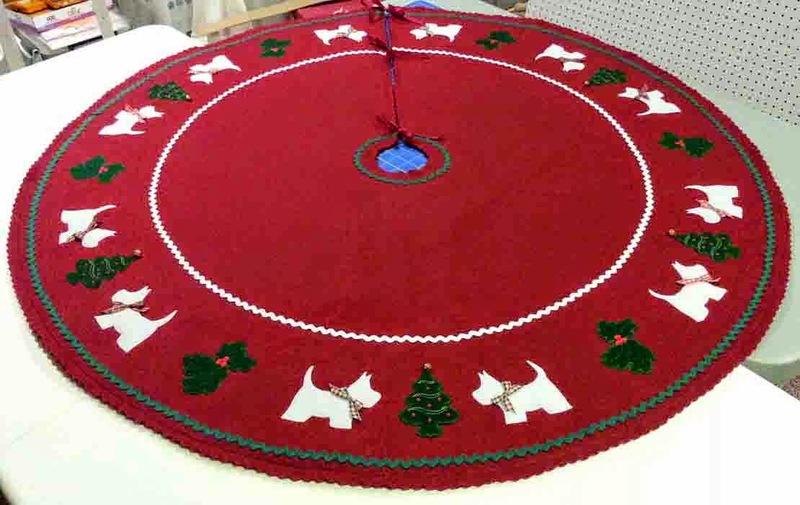 I stitched the main part of the embroidery on a scrap of red sweatshirt fleece, then hooped the shirt separately. Only an outline (for placement), a tackdown stitch and the satin stitch border are stitched on the shirt itself, so that hopefully it won't be itchy on the inside. We included a gift card with the pillows and shirt so Joseph's mom can help him pick out something he really needs.